Just got in email. Can it be true? BHM is Back in Print! Backwoods Home Magazine is about to become a print magazine again after a one-year hiatus as a digital-only publication. You've missed the magazine and we've missed you. This is the cover of the next print issue, painted by longtime BHM artist Don Childers. We hope you will subscribe again. 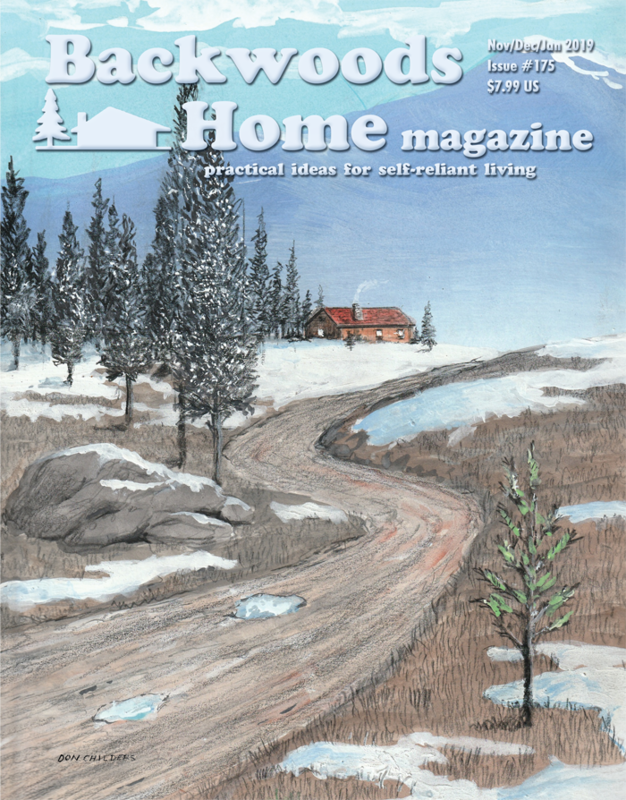 Backwoods Home Magazine is about to become a print magazine again after a one-year hiatus as a digital-only publication. The person who is making this possible is my son, Sam Duffy, who will assume the role of publisher, a job I have had since founding BHM 29 years ago. The magazine’s content will remain unchanged. Re: Backwoods Home PRINT Magazine Returning?! Essentially the same text you posted I4L at the link, but there it is! Also there's a subscribe button, etc. Yes, I think it is true. My wife got a notice at home yesterday. The question we have as we are writing the check is will it be a 12 issues a year or just quarterly? Quarterly. The cover has three months listed (Nov/Dec/Jan 2019). I was amazed when I got the email... Not sure I want to support them after they dumped us. I was ready to re-subscribe to the print edition, but then the kindle edition auto-downloaded and honestly... I really prefer it over paper. And somehow that just feels all wrong, but I don't think I'm going back to paper.